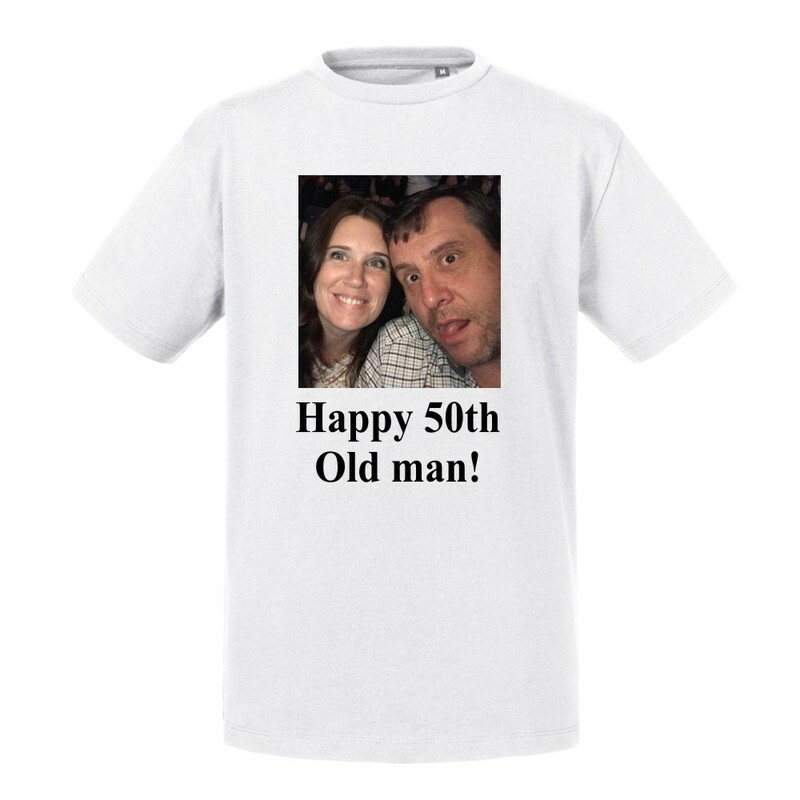 Personalised Printed white Men’s round neck t-shirt. Available in 5 sizes. Personalise with your ideas. Ideal for Stag Parties, Birthdays, Anniversaries…it’s endless!